WEDNESDAY, Aug. 1, 2018 -- Children and their mothers have poorer quality sleep in pediatric hospital wards than they do at home, and this may be due to significantly raised sound levels in the hospital, according to a study published online July 17 in the Archives of Disease in Childhood. Rosanna Bevan, B.M.B.S., from the University of Southampton in the United Kingdom, and colleagues measured sleep quality and noise levels in pediatric medical wards in a children's hospital and compared these with the home environment. Sleep quality was measured using actigraphy for 40 children (aged 3 to 16 years) and 16 of their co-sleeping parents. The researchers found that children had on average 62.9 minutes per night less sleep in the hospital than at home, and parents had 72.8 minutes per night less sleep in the hospital than at home. 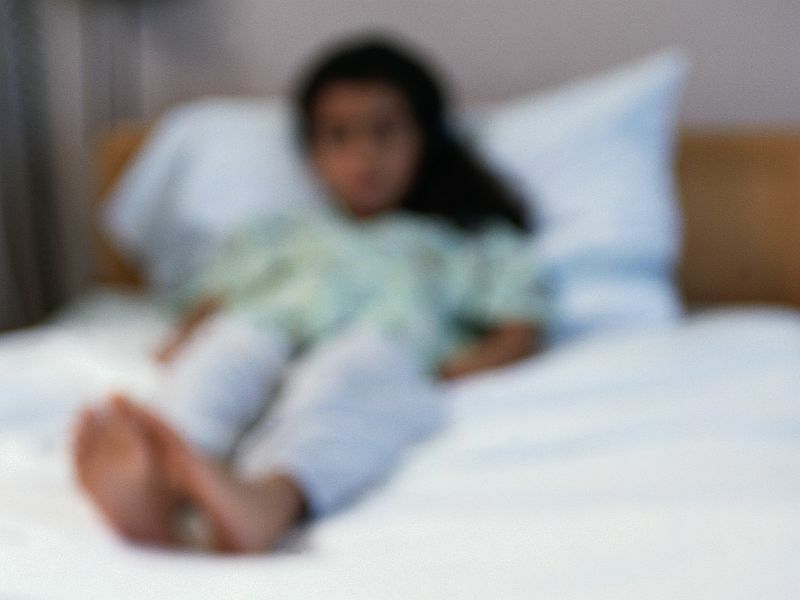 In the hospital, both children and parents had poorer sleep quality than at home. Median sound levels in the hospital averaged 48.6 dBA versus 34.7 dBA at home, which exceeds World Health Organization recommendations of 30 dB. "Children and their mothers have poor quality sleep in pediatric wards. This may affect the child's behavior, recovery, and pain tolerance. Sleep deprivation adds to parental burden and stress. Sound levels are significantly raised in hospital and may contribute to poor sleep," the authors write. "Reduction in the level of noise might lead to an improvement in sleep, affecting the quality of stay of both parent and child."